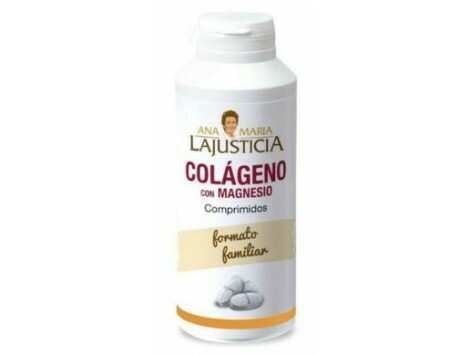 Ana Maria Lajusticia collagen magnesium 450 tablets Many of the problems that today we face in a society marked by poor diet and stress, could be improved if we insert collagen in our daily diet. Collagen is the most abundant protein in the human body , and therefore have their needs the daily. All elements of our joints ( cartilage, tendons and bones) are formed by collagen, so it helps us to delay the onset of wear in them. Almost all our body tissues require collagen may seem that there is no relationship between them (the walls of blood vessels or the lens of the eye , for example). The contribution of collagen in our body , in addition to stay younger time, helps us stay in shape. Athletes could prevent injuries such as torn ligaments , tendonitis, muscle strain , etc. . when they are not due to external impacts. 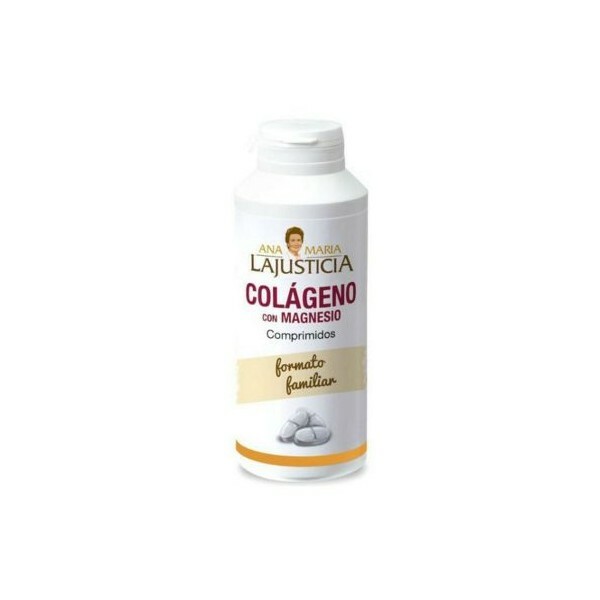 Collagen helps to prevent breakage of the blood vessels ( spontaneous bruising ) . The hair needs to be healthy , good contributions of collagen. Skin requires collagen ( better if it receives from the interior of the body ) for maintenance and to delay the appearance of wrinkles . Nails to be strong and healthy need to have collagen. This preparation has been added magnesium, since this element is very active in the formation of all proteins in our body . Remember that you must always follow a healthy , balanced diet. Composition: Collagen 648 mg, Magnesium hydroxide 20 mg, Magnesium carbonate 77 mg. Excipients: Magnesium Silicate , Magnesium Stearate.